To join our wait list, please click HERE. 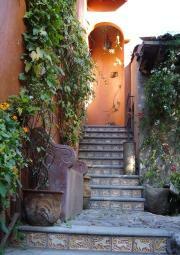 San Miguel de Allende is a city that manages to be both quaint and cosmopolitan at the same time. arguably the prettiest town in Mexico. meal of the day. After lunch, the balance of the afternoon is at leisure. going to the cooking school this evening. evening those guests who did not participate in the Day 2 Cooking Class will do so. 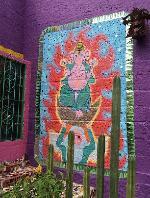 perhaps to enjoy one last dinner in San Miguel de Allende. Breakfast, Lunch. San Miguel de Allende transfer back to the airport for your flight home. within a short time after trip deposit. Group travel insurance will not be offered with this tour. possible to share with family, friends or other single travelers without sacrificing your privacy. PASSPORT--a passport valid at least 6 months beyond trip date is required for this trip. consult with Sterling Tours prior to tour registration.